It is that time of year again, time to lock door, bolt windows, put out pumpkins and stuff you face with ghoulish sugary treats. 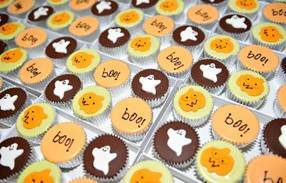 And to satisfy the nation’s growing taste for cupcakes Waitrose is dishing up a terrifying selection of horrible sweetmeats to satisfy our bloodlust. Actually these cakes look quite nice and have been made by bakers at Fiona Cairns in Leicestershire. 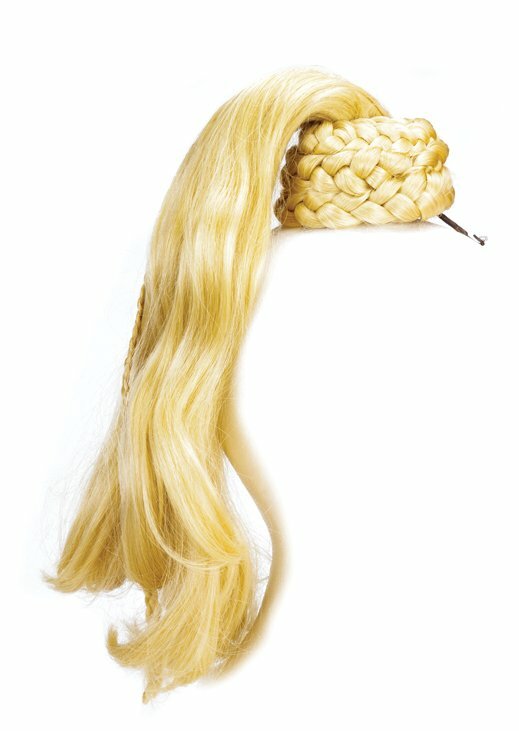 MADONNA’S infamous ponytail worn during her 1990 Blond Ambition tour last night fetched $20,000 (£12,000) at auction. The iconic platinum tassel worn by the star with the legendary Jean Paul Gaultier gold pointed bustier went under the hammer with an estimate of between $3,000 (£1,785) and $5,000 (£2,975). However it sold for four times the expected figure at the Profiles in History auction in California, America, last night (Sunday). AIR travel is about to turn super-tech as Thomson Airways unveils its vision to “revolutionise holiday flying”. It promises travellers the ultimate holiday experience from take off until the moment they land back in Britain with planned changes to its fleet including the luxury 787 Dreamliner. The holiday giant has revealed its five-year vision to “change the face of holiday flying” acquiring two more of Dreamliners with another 47 new Boeing 737 MAX aircrafts by 2020. THE cost of eating out is about to rocket thanks to a European edict on food allergens due to come into force at the end of the year. As exclusively revealed in The Sun this week, Restaurants, cafes and other venues serving food are currently “in crisis” rushing to prepare for stringent rules which take effect in December. All businesses including hotels, pubs, takeaways, and motorway service stations will be required to record, label and track all foods which could contain any of 14 allergens. BRITAIN’S elderly are being failed by the pensions system and losing billions of pounds in unclaimed benefits, a damning report out today (Tuesday) claims. Around a third of people eligible for a top up on their state pension don’t claim with many simply unaware they are entitled, according to ‘Later Life Ambitions’. The document slams the pensions system as “not the comprehensive safety net that most people expect” and warns of the growing elderly poverty crisis. B&Q apologises to "tens of thousands of customers"
DIY giant B&Q was last night (Friday) forced to apologise to “tens of thousands” of customers who were sent a rogue email saying they had “registered” with the firm. The email, sent earlier in the day, welcomed recipients to B & Q and told them they would be advised of latest offers and new ranges. However the firm later sent another message admitting the first had been sent in error and insisted no personal details had been leaked. It said the blunder was the result of a system upgrade and had occurred as work was being carried out on its website. There is a craze sweeping the world at the moment, filling newspapers and ‘going viral’ on the internet. For anyone who has been living in a cave for the past two months I am talking about the ‘ice bucket challenge’ - the latest thing to be seen doing. A simple theory, it involves filling a bucket with water and tipping it over your head, preferably with a camera pointed in your direction. ENERGY companies were the target of more customer complaints last month than ever before, shocking new figures reveal this week. Experts say the major suppliers are in “meltdown” with staff unable to deliver basic customer service. Disgruntled households lodged 5,193 complaints in July compared to 4,178 the previous month - 24 a per cent rise. It is almost three times more than the same time last year when 1,844 complaints were made in July 2013, according to the Energy Ombudsman.